I’ve been reading books about negotiating recently, which really boils down to two powerful little words, Yes and No. Here are three inspirational quotes I gleaned from William Ury, Author of the The Power of a Positive No. Only by saying No to competing demands for your time and energy can you create space for the Yeses in your life, the people and activities that really matter to you. Here is the paradoxical secret: you cannot truly say Yes until you can truly say No. Every Important Yes requires a thousand Nos. — William Ury, Author of the The Power of a Positive No & Getting to Yes. 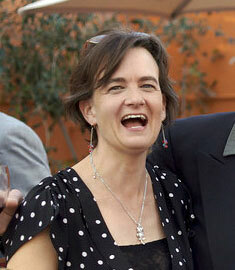 Karen Nierlich is an Internet Marketing Consultant with Full Orbit. The Web firm provides web design, web programming and marketing services to help organizations thrive. We serve small and medium businesses as well as change makers of many strips from thought leaders, non-profits, schools, and socially or environmentally-focused businesses. Call her at 510-502-4963. Clients ask for freebies all the time. In my research on scope creep I’ve uncovered another winning strategy for handling requests for freebies: identifying nibbles and utilizing swaps. I might be able to do that for you, however would you consider doing X for me? Credit where credit is due: Last week I took a workshop from Bob Gibson called Negotiating with Existing Clients at the Bay Area Consultants Network. Bob presented a wealth of information about how to be prepared to negotiate with clients as new ideas and problems come up in your client relationships. As I said in my last article, scope creep really is inevitable in web programming projects and some other kinds of work, so you need to be prepared to respond. Back to Nibbles: There can be pressure to simply agree to small requests. One wants to keep the client happy and to be generous. You also don’t want the clients to feel nickeled and dimed. However, once people discover they can get something for free, they keep asking. It’s like you’ve trained them to get stuff for free. If you realize your mistake later and try to change it, the client is unhappy because you’ve taken away their free stuff! What Bob Gibson is suggesting is that you have requests of your own in mind to swap with the client. They might be related to the project such as a discussion about an extension of the project or the time table or it might be something that doesn’t involve fees such as event tickets (if the client does events) or referrals. This way you aren’t saying “no” to the client but you are asking for something for your time and effort. 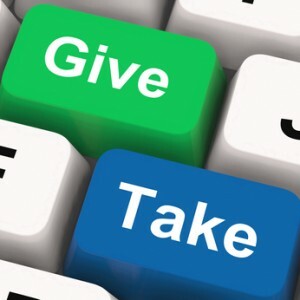 Expecting something in return does alter the dynamic of the relationship and prevents you from starting a pattern of giving (in the business context) with no return. This is but one of many strategies for dealing with nibbles and other requests for freebies. I’ve collected a number of books on negotiating. Another great source of ideas is “The Positive Power of No, How to Say No and Still Get to Yes” by William Ury. Karen Nierlich is an internet marketing consultant at Full Orbit Web and Marketing. She works with clients to help them generate more leads and grow their business. Services include search engine optimization (SEO), creating effective websites, writing calls to action and and other strategies. I found the title of B.J. Mendelson’s book provocative. He’s a bit of a marketer himself, however his business title is humorist and social critic. He’s not saying social media is worthless or a waste of time; he’s not talking about social media in the social context where we are chatting with our friends online. Rather he’s talking about social media as a SMALL business sales tool. He is saying it’s over hyped, not the solution it’s cracked up to be and those who are getting rich are the social media trainers and coaches. 1. What we are calling social media is not new, but bigger, better versions of tools from the early internet. 2. The individuals making money off social media are the trainers and coaches who urge people to embrace the big Six Social Media (Facebook, Twitter, LinkedIn, YouTube, foursquare and Tumblr.) Social Media is a 21st Century get-rich-quick scheme. 3. It’s nearly impossible to generate a massive following on any platform today without either a strong network to begin with, a huge marketing budget for advertising, or success with PR and the media. “Social media success stories” get revised and omit the connections that actually create breakthrough careers or viral events. 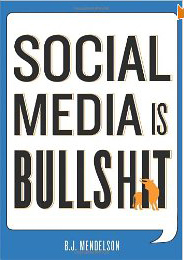 If you are a social media marketer or questioning the hype, hope you’ll check out this book. It’s concise, entertaining and I do believe he speaks the truth. 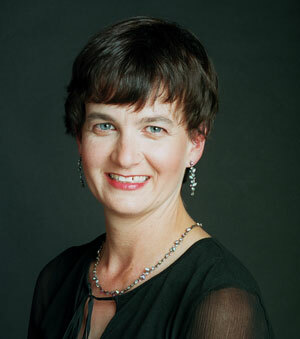 Karen Nierlich is an internet marketing consultant with Full Orbit Web and Marketing. She helps clients create websites, promote websites and find reasonable, doable ways to thrive on the web. 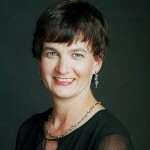 Her clients include small and medium businesses and thought leaders. 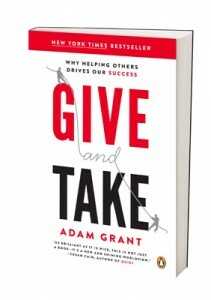 I read business books as often as I can and love to share the effective ones. 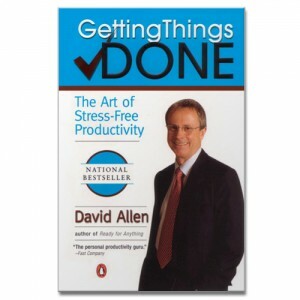 This month I’m talking about Getting Things DONE: The Art of Stress-Free Productivity by David Allen. The book is quite well known and therefore I expect some of you to be familiar with it. I’ve test driven this book for about 4 months now and am happy to say it was tremendously useful. 1. Most of us are tremendously busy and keeping too much info in our brains. As we look around our offices and homes—incomplete tasks are calling our attention, cluttering our thinking and causing us stress. 2. We may always have a lot to do. That’s our choice in taking leadership roles and running companies. However, we can reduce our stress and increase our productivity by organizing our in-box and every pending task. Allen has you create a listapalozza of all you need to do in your office / work and home. I’ve always had a work to-do list and a household to-do list. Using Allen’s approach…the two lists became one list and more comprehensive. In fact I was able to fill 4 pages with about 100 items in 15 categories! I hope I’m impressing you with how deep he has you go with the list…he says he often gets to 400 items with clients. I also write a daily list of 5 things I hope to complete that day, as well as phone calls and appointments. I spend less time figuring out what to do and more time just getting stuff done. I kid you not, now that I have this listapalloza, I can’t imagine doing without it. It has increased my feeling of control and decreased my stress. Tell me if you read the book and if it’s helpful to you. 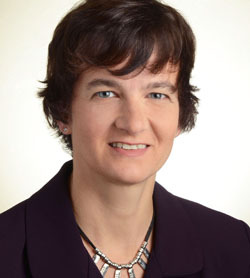 Karen Nierlich is an internet marketing consultant with Full Orbit Web and Marketing. She’s as busy as anyone as she runs her own business with her husband, is the parent of two middle schoolers, serves on a service organization board, is writing a book and volunteers with her Rotary Club and Girl Scouts. 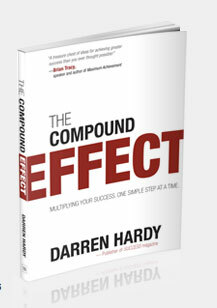 The Compound Effect by Darren Hardy is a success book I recommend without reservations. 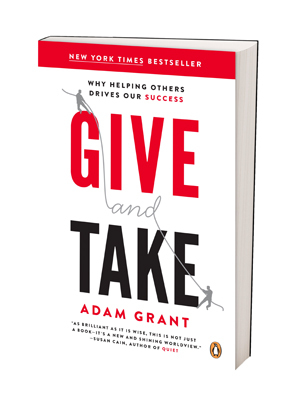 I’ve probably read over a dozen books about success; this one contains none of the annoying, obtuse, illogical, bizarre parts I’ve had to apologize for in other success books. Hardy’s book contains all the advice you’ll find in other success books…honestly it’s amazing how the advice is so similar book to book. However this book is very concise and easy to read. The chapters are titled The Compound Effect in Action, Choices, Habits, Momentum, Influences and Acceleration. For me, Habits was the most influential at this time. I’ve had a lot of success scheduling activities into my week and developing routines. I’ve talked about routines making things happen in this blog. I exercise several times a week, have daily family dinners, write 3 blogs (struggle with that a bit) because they are scheduled into my day and week and month. Some high achievers schedule their whole year in advance. I’ve worked with people like that and it’s something Dan Kennedy (motivational author) says he does. I was inspired to adjust my routines by The Compound Effect. The larger % of my routines are around health and family life. After reading the book, I decided to get up 45 m earlier so I could do my health routine earlier and have an hour for an 8 am work routine before the start of my work day. That hour is for blogging and improving my website traffic. Then I check our bank accounts and the work voice mail and get to work on following up with prospects and then ongoing projects. I hope you’ll make time to buy a copy of The Compound Effect and read it. If you do, please leave a message here for me and other readers about what you found most helpful for where you are now. Karen Nierlich is with Full Orbit Web and Marketing, a 15 year old web design and development firm in the San Francisco Bay Area. She loves to talk about marketing and success. She works with small and medium business owners who want to thrive using the power of the internet. 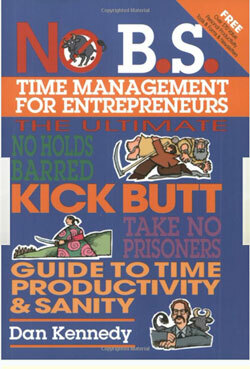 book by Dan Kennedy: "No BS Time Management for Entrepreneurs"
Let me tell you about a great tip for consistently writing blog posts I learned from Dan Kennedy, probably the nation’s meanest, baddest success coach. Who else would write a book called the “No B.S. 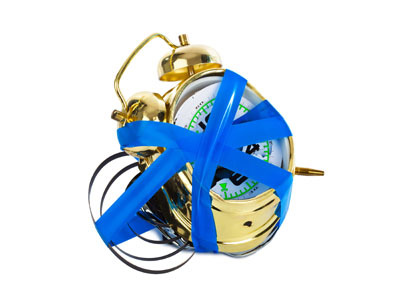 Time Management for Entrepreneurs.” Your calendar isn’t just for appointments with clients etc. All your important tasks like writing a blog can go on there too. Actually I think it’s time for me to reread Dan Kennedy’s “No B.S. Time Management for Entrepreneurs” because I haven’t been writing a blog post twice a week as I’d planned and I completely forgot to send my newsletter last month. But on the other hand, I’ve been sending my newsletter since 2002 and my blog since 2008, so that gives me some credibility. I just recalled Dan Kennedy says he takes his goals and then calendars his whole year out. For example, he says “I’m publishing a new product next Dec and giving a seminar in June.” (not a direct quote) He then figures out the tasks required and calendars the time to create the product and write the seminar. When I finish writing this blog post, I’m going to sit down and put my networking events, my blog & newsletter and the time I need to polish my talk for the Emeryville Chamber of Commerce for March 10th on to the calendar. I often train clients to write a blogs for their businesses. One of the things I tell clients is that blogging is a lot like working out. You need to do it regularly to get good returns and respect from Google. Also, if you do it regularly, it gets a lot easier. Topics just come to you and writing gets to be natural with practice. Sooooo, if you are trying to write blog posts regularly or write your web copy or accomplish anything else–just calendar it. 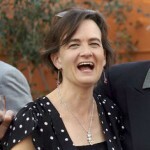 Karen Nierlich is in charge of writing blog posts for Full Orbit Web and Marketing in Albany, CA. She works with medium and small businesses in the region ie. El Cerrito, Oakland and Berkeley to help them build an effective web presence. 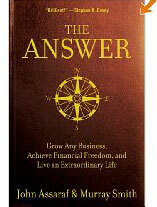 Success books like “Think and Grow Rich,” tell us to think positively and eschew negative thoughts. The book tells us to believe and not fear…but if one has fears…then what? As successful people each of us needs to learn to overcome stress or minimize stress so we have lots of good energy to keep growing our success. I’m not a psychologist and I’m not going to tell you what to do with your bad feelings. But I’ll tell you how I live with mine. I release them into a journal…or I run or garden or all three. I’ve honed a set of self-care skills over the years. I’ve been an artist all my life and a classroom teacher for several years. 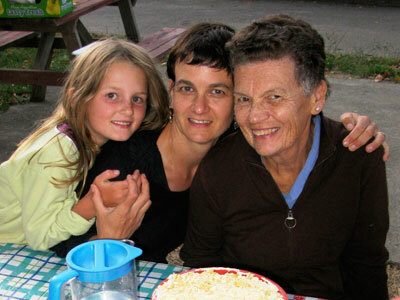 I’ve been a parent for over 10 years and a small businessperson for the last 7 years. I tell you this so you know I don’t avoid stress. As small business people we are putting out a lot of energy, meeting new people, keeping in touch with people, working in our business and coming up with new ideas. Businesses don’t grow unless we try new things and get out the comfort zone etc. However, to get out of the comfort zone we have to have energy. If we don’t have ways to eschew depletion and fill ourselves up…our energy will lag and we will become sick or lose our spark. Journaling: The Artist’s Way by Julia Cameron is an excellent resource about discovering or recovering your creative self. One practice she describes in detail is called “daily pages” in which you write 3 stream of consciousness pages without pausing or editing. I’ve found that this practice helps me get out my negative feelings and solve problems rapidly. Any “problem” grows wearisome fast…and I therefore solve it. Exercise: special mention of yoga and tai chi: To state the obvious, exercise is essential to health. Scientifically, we know that exercise releases adrenaline, which makes us feel up. Usually people focus on how exercise keeps weight down or makes us feel good. However, I believe the benefits of exercise go deeper much than this to regulate our hormones and maintain the health of all the “systems” of the body. If aerobic exercise releases adrenaline and makes us feel up, yoga and tia chi focus on our breathing and stretching the spine, which releases stress and calms the mind and body. Time alone: This is a key to health that hasn’t always been obvious to me. Time alone doing something I enjoy is rejuvenating and also essential. Try a walk, a trip to the bead, hardware, library or antique store. Or doing some work with your hands like baking, woodworking, knitting etc. An hour or two once a week makes a huge difference. Time with friends: Make time for friendship and all kinds of connections. 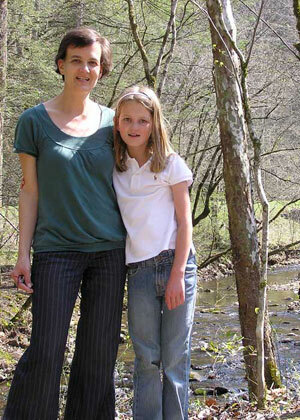 As a young parent I saw with fresh eyes how interdependent we are. We need other people…both as parents and as business people we need support. We need others to succeed. We need clients and referrals to clients to succeed and mentors to really fly. Prayer and meditation: I make use of these too. Two years ago I prayed a lot because several friends were ill at the same time. I felt helpless and negative. I wrote out a prayer and memorized it so that when I started to worry I knew exactly what I was going to substitute in its place and switch gears. It made a huge difference to my energy and outlook to pray for healing, peace and strength and kept me going. Also, one can learn religious or non-religious meditation. I learned a meditation recently that simply has you focus on breathing in and breathing out while counting to 10. Each # is an in or an out breath. It’s not so easy to focus the mind, but with practice one gets better at focusing on breath. Reading for Diversion and Relaxation: As you may know if you’ve read my newsletter, I read a lot. I was a bookworm as a child. But the last few years I’ve moved from reading for pleasure to reading for information about business, success and kids. 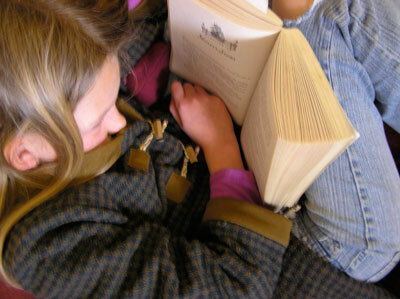 I rediscovered that reading for pleasure is very relaxing. Read books that are humorous, entertaining or transport you to another world. By using my downtime to rejuvenate and building it into my week, I’m able to care for my family, run a business with my partner, be a leader in two networking groups and pursue my artwork. Feel free to write me about your stress-busting ideas. Schedule any of these stress busting activities into your week and watch your energy go up. Nothing makes me feel more conflicted or secretive than books and movies like The Answer and The Secret. However, you don’t want to hear about my conflicting desire to be existential vs. my desire to do what it takes to be successful. We can have that conversation over a drink or on a hike sometime if you like. There is valuable information in The Answer by John Assaraf & Murray Smith and I don’t want to keep that under my hat. If you saw the movie The Secret, John was the one in the vignette in which he and his son open a box full of vision boards that has been in storage for 5 years. To his surprise the mansion…double, triple mansion that is…that they are living in at that very moment is the very same one pictured on one of his vision boards years from years before. In the middle third of the book, he explains how to use affirmations, previous peak experiences, mission statements and vision boards to create a powerful mental picture of your desires and achieve them. The detail he includes thrills me, including a lengthly FAQ section about what do if all these numerous doubts or contingencies crop. For example, last time I tried using daily affirmations (about a year ago) I felt very anxious. Here he says change, even good change makes one anxious and pay attention to it, but don’t stop your affirmations. Just for the record, I personally don’t believe the quantum physics line that movies like The Secret propose. However, I know these focus techniques (affirmations, writing ones goals, mission statements and vision boards) work and John Assaraf and Murray Smith do an excellent job explaining them because I’ve used them for about 5 years and have achieved almost everything I’ve set out to achieve. Also, I know that professional athletes and other high performers use these and similar techniques to hone their focus.